Recently I was able to try out Squishy Mats for ourselves and I am glad we did. I gifted one to my husband's cousin for her pet to enjoy while we kept one for ourselves. This mat can be used for more then just babies or pets. This can be used by anyone. One of my favorite places to take this is when I know we are going to a place with hard seats that we will be stuck in for a while. Really helps you stay comfortable longer. Great for getting down on the floor with your kids to play. I have Fibromyalgia so this makes a big difference in my comfort when kneeling or interacting with my children on the floor. It also encourages me to do it more often. No more hard stadium seats, cement, or grass, now you can enjoy comfort all around. This can even be used in cars, wheel chairs, etc. This is a great item that has versatility to make a world of difference in many ages of life, be it a pet, or a human. 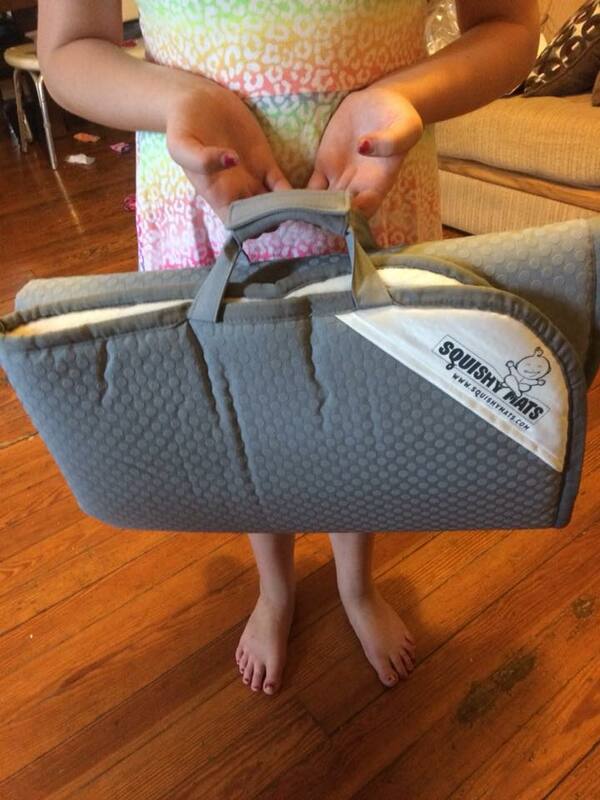 I have the Squishy mat in 3x3' floor mat - folds and fastens with a carrying bag. 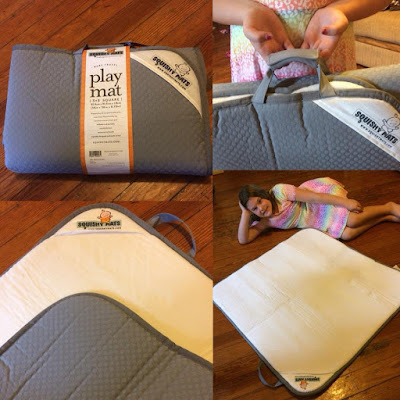 They also have two other sizes 16x32" Changing Mat - folds and fastens with a carrying handle, and 4x4' floor mat - folds and fastens with a carrying handle. 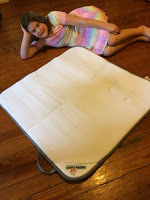 What Squishy Mats have to say about their products. In a word, SQUISHY! Memory Foam is known for its use in mattresses, pillows and even some shoes; it has incredible give and easily returns to its original shape. You and your child will love the luxurious feel of the minky micro flannel top as it glides under your fingers. With nonslip rubber backing, your child won't get wrapped up as he plays, and it won't slide out from under baby if you (or your pet) step on it! My Readers Save 15% Off with code "USFAMILY" on all sized Squishy Mats - The world's first baby memory foam mat that folds for quick storage and transport. or with code SQUISHYPETS my readers will receive 20% off , your choice. 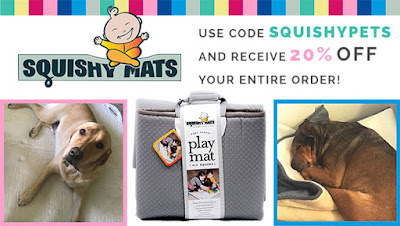 Disclosure: MarksvilleandMe received one or more of the products mentioned above as part of a promotion with US Family Guide and Squishy Mats. Regardless, MarksvilleandMe only recommends products or services we use personally and believe will be good for our readers. Some of the links in the article may be “affiliate links.” This means if you click on the link and purchase the item, I will receive compensation. If you would like MarksvilleandMe to review or promote a product or service please contact us at marksvilleandme@gmail.com.